Invitation to the seminar by Dr Ioanna Sitaridou. 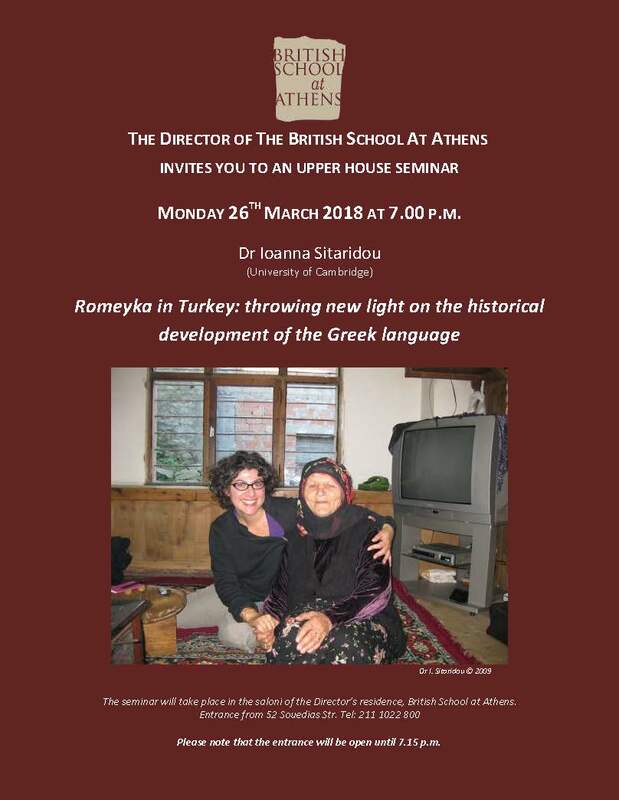 Dr Ioanna Sitaridou (University of Cambridge) will address the topic “Romeyka in Turkey: throwing new light on the historical development of the Greek language”. The lecture is part of the Upper House Seminar series organised by the British School at Athens.